Today, the sound of typewriting occurs again after disappeared for a long time since the typing school, the Suppakijjumnong family’s business, was shut down due to the dominance of computers. But this time, the role of typewriter is different from the past; it is not used for creating any documents. Instead, Thanathorn Suppakijjumnong, the artist and a daughter of Suppakijjumnong family brings back the old typewriter to create works of art in a unique style. Every type tapped on a paper is not only writing words for linguistic meanings; but the words also represent the relationship, bond and love in Suppakijjumnong family. “…. We were born as consonants that could not be composed as a word yet. Awagami paper, an excellent quality of paper imported from Japan, is the material that the artist selected to create works of art as the fiber of paper is cohesive and durable as well as being able to retain the color of papers. The process of producing artworks starts with typing words on the paper, then cut into square shapes and fold them into a symmetrical composition. Subsequently, the folded papers are arranged methodically to visualize her self-portrait in various ages. With diverse colors of ink ribbons, they lead to reflect on the chronicle of artist’s life. Love is the word that covers the whole area of the artwork and some parts are pasted with small letters written the teaching words of her parents, the teaching words that warmly nurture kids until grown-up. Aside from the diverse tones of characters that the artist can control them skillfully, an open-closed cover of each letter is the artist’s intention to invite audiences to interact with the works. Thus, each teaching letter can cultivate in their minds and altogether form a new experience of warm nurture. A typewriter with Thai keyboard was invented in 1892 by Mr.Edwin Hunter Macfarland, an American missionary and was given to King Rama V. The king was satisfied with the features after the first try and he became the first Thai-typewriter user. The typewriter is an important invention in the history of mankind that changed the way people communicate. The artworks by Suppakijjumnong revive the machine which is almost forgotten in the history back to life by employing it to depict her life’s stories in a contemporary way. The exhibition will be displayed during 16th August – 16th September 2018. The show is curated by Suphita Charoenwattanamongkhol. 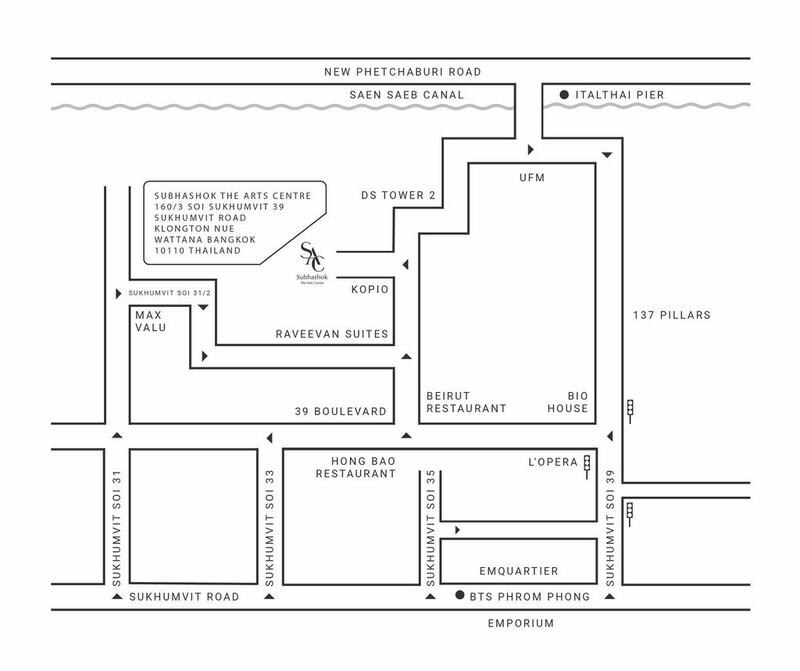 For more information, please contact: email manager@sac.gallery or tel. +66 2 662 0299, +662 258 5580 ext. 401. สอบถามข้อมูลเพิ่มเติมได้ที่ อีเมล์ manager@sac.gallery หรือ โทร. +66 2 662 0299, +662 258 5580 ext. 401.